All Posts - History Lesson: Independent Truck Co. Turns 40! History Lesson: Independent Truck Co. Turns 40! It was 40 years ago Santa Cruz’s Rich Novak and Jay Shuirman sat with Fausto Vitello and Eric Swenson of Thrasher Magazine to birth Independent Truck Co., a new collaborative brainchild and a new leader in the skate game. Recognizing the lack of quality skateboard trucks on the market at the time and the need for something new, the partners were committed from day dot to the development of a strong, high performance truck with easy turning capabilities. Now years later, those commitments stay true and have been firmly implanted in the minds of skaters around the world, with millions of loyal followers proudly repping the leading truck manufacturer under their feet on a day to day basis. To celebrate this incredible milestone of a birthday, we caught up with the brand’s Art Director, Mark Widmann to learn more about the brand’s roots, the iconic moments etched in skateboarding’s history, how the team celebrated the 40 year birthday and more. Tell us who you are and your role at Independent? My name is Mark Widmann and I am the Art Director for Independent Truck Company. We’re stoked to see the brand celebrating 40 years! How did the team celebrate? With turning 40 we just wanted to focus on the Team , Skating, Tours, videos, etc. We also made Team exclusive Trucks, T’s, pins, and decals to be sent to all the Team riders. Not easy considering we have the biggest line up of riders in the Industry. 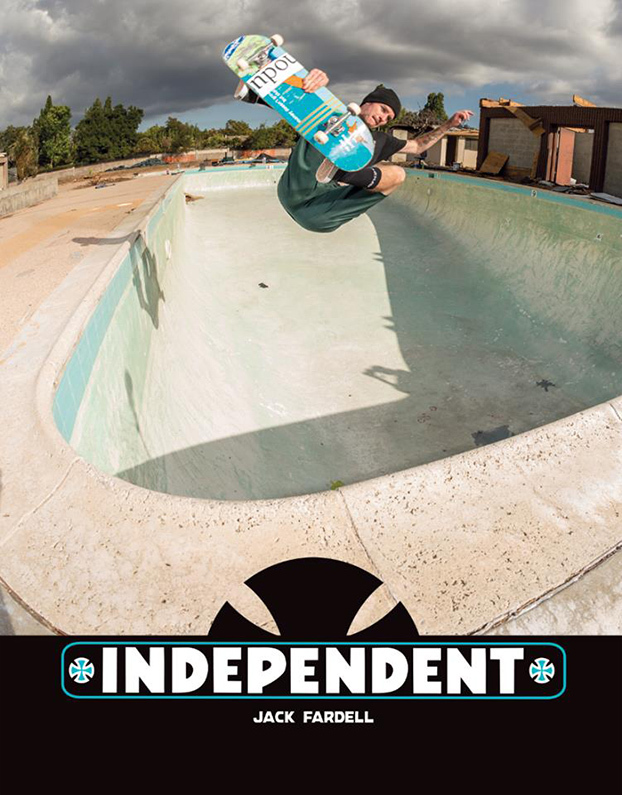 We also put together the 40 years of Indy ad book that covers all the memorable Indy / Thrashers ads. The brand has been so iconic in the history or skateboarding. Can you run us through some of your favourite, most recognized moments the brand ahs been involved with? I think the coolest thing would have been the NHS museum opening with the Indy history being told and then following it up the next day with the Rider Rally in San Jose. Everybody was there, old and new just having a good time. Great weekend! The brand has remained so true to it’s roots since first coming to life in 1978, tell us how this has been the case? Who are the key individuals looking over it to make sure this occurs? People always think that Indy is massive. It’s not, it’s been the same 3-4 people dealing with the brand for decades. You got Keith Wilson and Gavin Denike on Marketing, Rhino doing Team, and with the help of Bob Denike to guide us along the way. We always look to the past for inspiration at the same time always looking to the future of skateboarding. The products have changed a little bit, to wider templates and then also moving into the world of apparels and beyond. Give us a run down of where Independent first started out and where it is today. Trucks to us are what is most important. Without the best trucks we wouldn’t have anything else. That is the base to everything we do. Indy fans love the trucks and if they want to wear a shirt our grab a keychain to show their love, cool! The brand has such a loyal group of followers. How does it feel to have so many passionate fans following the Independent brand and lifestyle? People love the name and the logo of course, but what makes them fans are the consistent quality of our trucks. Nothing rides like an Indy. The truck is the heart and soul of your board. What’s one motto the Indy team live by? Thanks for chatting, we hope to see you Down Under soon!